So you’ve got a piece of marketing collateral you’re working on (an email, landing page, direct mail piece or ad perhaps) and you just can’t figure out what to use for your headline. You’ve asked your friends and associates and they’ve given you some ideas, but you’re not sure which one is right for what you’re doing. How do you decide? So, take all the headlines you’ve got and organize them in these four groups. Some will have some overlap (think of combining tastes), so be sure and place those particular headlines in each group that it’s a part of. Your goal is to figure out the best tasting headlines in each category and then to place those tastes into the steps of the process where they work most effectively. These are often used at the beginning of your funnel when you’re competing against other things like ads, articles, messaging, other life activities, etc. Also, they usually only tell just enough to get you to commit to click (half of the story). Think online banner advertising and direct mail: The headline is one of the only chances you have to stand apart. Sometimes it can focus on a specific competitor or even on a general perception in the competitive landscape (reconsider my type of product because I actually do it better than everyone else). These are sometimes combined with group #1 for a powerful beginning or used in the middle where the big decision is made. I’ve seen these used on landing pages and offer pages alike where the big decision is made (in the middle) to take the plunge into the form field funnel or not. This is different from group #1 in that completes the story or summarizes it in whole. In every offer-response experience, visitors have to truly get the real value exchange before they’ll give in. These are often used in the middle or even at the end of your funnel when genuine interest is present (generated and pre-existing). Once someone knows what they want they just need to know where they are at and where they need to go. Figure out what stage of the offer response experience your marketing collateral is in (beginning, middle or end) and confirm which taste of headline does the best job in getting the action you need. If that goes well, you’ll likely be working on the other stages of the offer response experience and can start testing what you didn’t use on the previous collateral piece. What other headline groups would you argue are integral in the complete offer response experience? All your example headlines in this post are declarative statements, and yet I often see headlines posed in question form online, “Why should you try X?” “Are you looking for X?” “Who is X?”. Do you have any thoughts on where question headlines would fit into your proposed framework? Is using questions in headlines even an effective strategy at all? Great article! However, I feel that ALL headlines should full under Group #1, get attention. The entire purpose of a headline is to grab the reader’s attention. If your headline is not capturing your reader’s attention, then it hasn’t done its job. And I always try to add a key benefit in my headlines. Using your examples, combining Attention and Key Benefit might be “New Solar Panel Discovery Cuts Heating and Energy Bills As Much As 25%”. In terms of Group #2, when I’m writing copy, one of the first things I ask is “is this a new product or an existing one?” If it’s an existing product category, then the only basis for choosing my product is its competitive superiority. Thanks Jon for writing this! Love you bro, but you’re killing me. I’m a copywriter (as you know), and this is what we’re told not to do. From a creative perspective you don’t want to give your goods up front. Online banner ads and direct mail are a lot like dating. You need to intrigue them. And then hit them with the information/goods. A lot of people are doing what you’re doing, which is why it’ll be a part of the big hot mess that is bad advertising. A tip from me to you. It’s usually best to just hire an agency or a freelance CW. It’s definitely worth the investment. You could probably use a headline written as a question within group #1 if it is very interesting and draws attention to what you have to say. Always using a question in group #1, or consistently somewhere else in the funnel though will allow the reader to more easily decide how they want to answer and proceed (instead of being lead). They might lose focus on what’s important, choose the wrong answer/direction, or if the question isn’t interesting enough decide that your answer (the copy) isn’t worth reading at all. I agree with the principle that all headlines should be able to stand on their own to some extent (and i think that’s what you’re saying here). The challenge here is to focus your headlines throughout your funnel closely to the objective you’re going after and to not put too much emphasis on ‘getting the attention’ in the other categories. It’s like in teaching. As a teacher know i have three obstacles. The first is getting their attention. Once i have their attention (using both content and tone like a loud voice, flashy visuals, something…), i have to help my students get the lesson (second). If i spend too much time on the attention factor (like raising my voice, overly visual, etc) while also trying to help them get it, the substance to help them get it will be weak and will leave them in a bad place when it comes to application. They might also get annoyed and think I’m trying too hard when really they just want me to get to the point. Hope this helps. My point: don’t try too hard deeper in the funnel. It gets old. How you start the conversation isn’t necessarily how you end it. But like you’ve said, you got to get to the goods. And there is nothing more annoying then someone that doesn’t get to the point when you’re on a landing page or product page…AFTER you’ve got their attention. So if you’ve got my attention (we’re past your ad now) how will you keep it? By constantly blowing the whistle, using a reel over and over, or by answer key questions i have about the product? A lot of people go through the buying process in steps. The ad is only ONE step of MANY…you should know this. 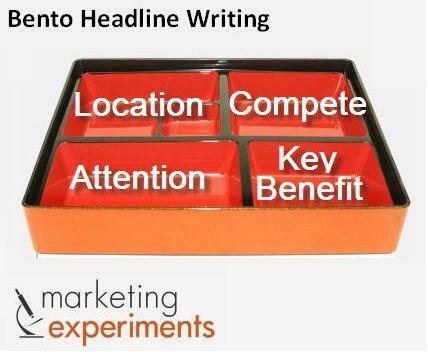 Try writing headlines for landing pages, product pages and the buying process the way you write them for ads. I’ve tested them…and they don’t work as well as you’ve been taught they should. Totally agree ads are only one step. If you have a poor product, advertising can’t change that. What you’re talking about is the total experience. So say you entice people to your website. Hopefully you’ve hired an ad agency to give a great, easy-to-use website experience as well. There is no exact recipe, and of course it changes based on a product or service. Remember, humans are emotional people, they need to feel like the brand gets them, understands them, otherwise it fails to do its job. Throwing numbers or percentages at them feels cold. You want something that evokes an emotional response. But those are just my 2 cents. Thanks for the follow-up. Theory is great conversation and all, but like in my martial arts class, theory just doesn’t hold up when someones really punching at you or attacking you with a big stick. And that’s what it seems you’ve got a lot of here – untested theory. -There’s headlines throughout the store that makes money by selling products (find product A here, or find this type of product there, etc). You can’t have one great headline. You need one for every step of the process you ask them to do something, even if its somewhat repetitive. Why? Because that’s what works with real BTB and BTC visitors and readers. This is what this article is about. The problem you have is with my example. And it’s ok to hate on it…because it would need to be tested anyway. But honestly, that example of headline could definitely stop a very cash starved basic consumer that’s already flipping through their mail, full of bills, searching for ways to save a buck. They print a ton of cheap money magazines off that appeal. And if there was no real response, people wouldn’t be using it. But the funny thing is that people do, no matter how ugly the ad is. And business isn’t always about being pretty. Its about being effective so you can stay in business. Some of my most interesting, appealing headlines have tanked, real-time (its hard to eat your own words when the data says you got it wrong). And some of my most simple to the point ones (the type which you’re hating on) soared to victory leading to an actual, measurable increase in the business. In fact, i tested one of my team’s homepage header designs (headline, sub-headline, immediate call to action and all) against one of the world’s top ad agencies for a very high-profile research partner a year ago…and of all the tests we ran and measured with statistical significance (34 in 4 months), the agency’s design (intriguing and interactive) was the fastest to see a statistically significant decrease in all the key performance indicators. So its not about hiring an agency. Our research partner realized that very quick. This article should cut a test out of your plan by telling you where to start. If the greatest possible gain in the shortest possible time is found on the product packaging or product page, start with this type of headline. Though the headline itself must always be tested, i have found in my testing that these TYPES of headlines have tested positive in these particular steps of the process. So take some advice from me…put your copywriting theory to the test 🙂 Otherwise you’re just another consultant with another opinion. Great post Jon and great comments too. I look forward to reading your future posts. Thanks Gary for reading and for your thoughts! I think Jon has it pretty right about different types of headlines for different stages in the sales cycle. No client or company has unlimited amounts of time or funds to throw at a target demographic. You have to choose and integrate headlines wisely. Also, hiring an agency isn’t always an option or even a good decision (I co-direct the interactive department of one). 1. Your headline doesn’t have to get attention. Anything else on that banner ad can. Example: Google’s current campaign. It’s a big green box with tiny font. I may be wrong but I think Google knows a thing or two about conversion rates and testing. Also, it gets to the point. Save $75 on advertising. Hmm. Doesn’t seem to be any dating going on there. 2. The whole notion of “reeling” somebody in and “intriguing” them reeks of an Ad Age article/advertising text book. Very salesy. Consumer behavior continues to evolve quickly in response to advertising. The internet is saturated with spam and “reeling” somebody in is now the tell-tale sign of a spammer. 3. Forget what you’re told. Creatives are always “told” what works. Most in my agency were. Until they get numbers. Then they DO what works. 4. What works? Well, for our clients, it depends on if they are using other marketing channels. If they are running TV, radio, or print, we focus on a branded/competitive advantage headline and call to action (save $100). Why? Because the awareness levels are already high for the target demo. If we are going to pay for a click, we want to make sure they are close to committing. You don’t need to date them if you know they are ready for the one night stand. This increases ROI. 5. If they aren’t using other channels, we’ve found emphasizing competitive superiority and location get the most bang for their buck. Why? When encountering a new ad that interrupts our target demo’s online activity, they want to make sure it is real and relevant to them. We’ve seen conversion rate increases of up to 92% by just adding a picture of a map to the landing page. Have you seen what happens with Google text ads when you add a location extension? CTRs double. 6. We’ve noticed that bounce rate goes way down when you include more relevant information up front in the ad. This means you waste less money on people that click because they were “intrigued” and then just hit the back button because it wasn’t at all what they thought it was. Example: We did a test with a static ad that had one mysterious line of text and the brand name vs. a flash ad with more benefits, features, etc. The static ad had higher CTR but the flash ad had a higher conversion rate. 7. If you start to plateau with converting people at the end of the sales cycle, then you move to the step before that in the sales cycle and focus on the headlines that work for that. Example: during the research and review stage, we found it’s best to focus solely on competitive advantages and product reviews in headlines. Then on a landing page we funnel them through the next part of the sales process and end with a call to action. 8. We test online ads/landing pages before we run print ads and we’ve seen the same results. Bottom line: You can’t test all headlines/banners because of limited time and money. You need to choose what will convert the most people with the least amount of effort and cash. This means determining what stage of the sales cycle most of your target demo is most likely in. Then using the headlines that work for that stage and guiding them on a landing page/micro-site through the rest of the sales cycle. One example of this is we’ve tested Facebook display ads that are targeted to those in the research/product comparison stage. They land on a page that has reviews/product info and links to the main FB page and a link to a special offer/order form. We’re getting conversion rates of up to 23% just by targeting and then pushing them through the rest of the sales process. Either way, testing headlines has far more advantages than quoting advertising text books like they are scripture. I agree with Gary’s comment that overall all headlines must catch attention. I like the idea that headlines can be grouped into categories of ‘purpose’.